I am very glad to announce that the new architecture of ModGrasp, one of my recent work, has been awarded with a Scholarship at the Proceeding of the IEEE International Conference on Industrial Technology (ICIT), Seville, Spain. 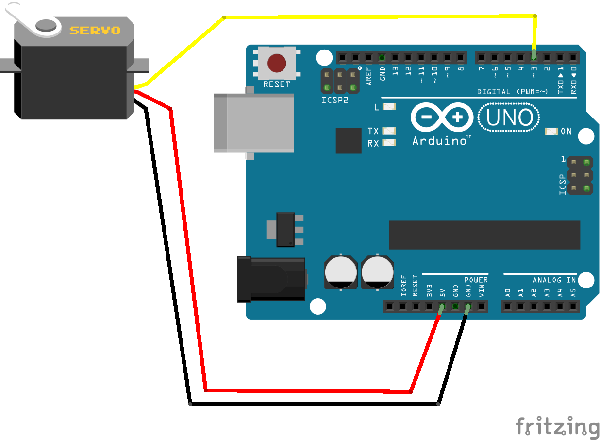 I just made a simple tutorial that can be used for motor calibration when assembling modular robots. Ocean Talent Camp is an event that encompasses all offshore industries, and a wide variety of businesses from all around the region of Sunnmøre . Recruitment is the main focus. This event is organised every year by Aalesund University College. During this even all the researchers and PhD students are invited to present their ongoing work by means of a poster exhibition. 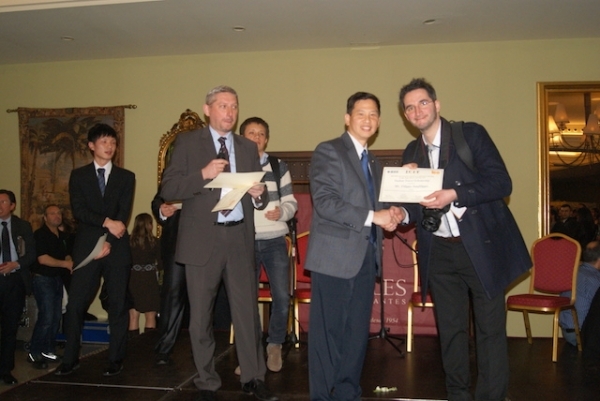 Quite unexpectedly, one of my poster has been awarded with the price for "Best PhD poster". Here is the awarded poster. Here a small presentation that I have prepared for our students so that they can learn how to program modular snake robots. I am very glad to represent Aalesund University College at the Proceedings of the 5th IEEE RAS/EMBS International Conference on Biomedical Robotics and Biomechatronics (BioRob2014), here in São Paulo, Brazil. My presentation will be on Friday, August 15 and I am really looking forward to present ModGrasp. The main idea of this project consists of developing a modular robotic hand. A camera is embedded in the hand palm. This will allow for a stereo vision distance estimation of the object to grasp using only one camera. The idea consists in taking two pictures from different point of view by moving the arm where the hand will be placed. The two photos are then used to create a stereo image in order to estimate the distance from the object to grasp. This is another student project at Aalesund University College, Mechatronics course (Spring semester 2012). The main idea of this project consists in developing a modular snake robot capable of grasping objects. The initial mockup of the project is described in the figure below. This is another student project at Aalesund University College, Mechatronics course (Spring semester 2012). 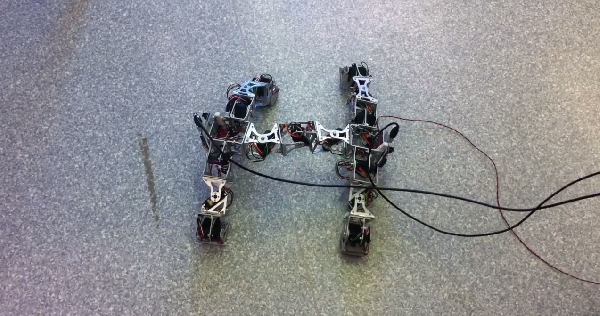 The main idea of this project consists of developing a modular "H"-shaped four-legged robot. 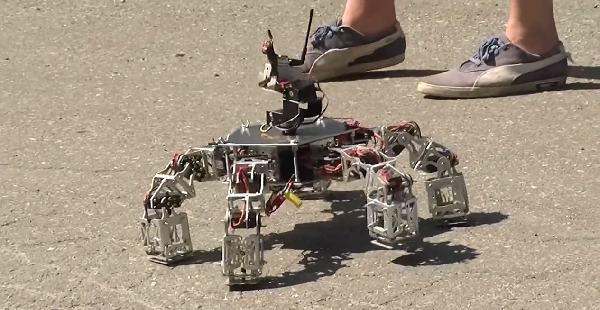 The robot should have the pose and locomotion capabilities of standing, crawling, turning, and lateral crawling, ... The initial mockup of the project is described in the figure below. 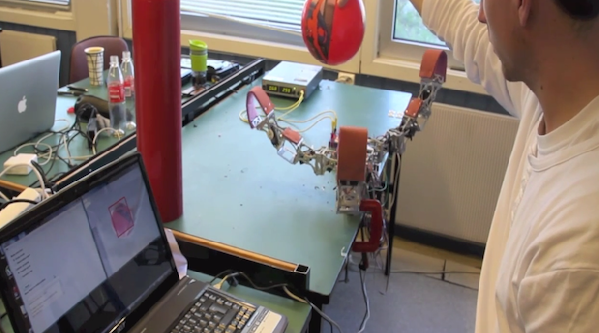 This is another student project at Aalesund University College, Mechatronics course (Spring semester 2012). 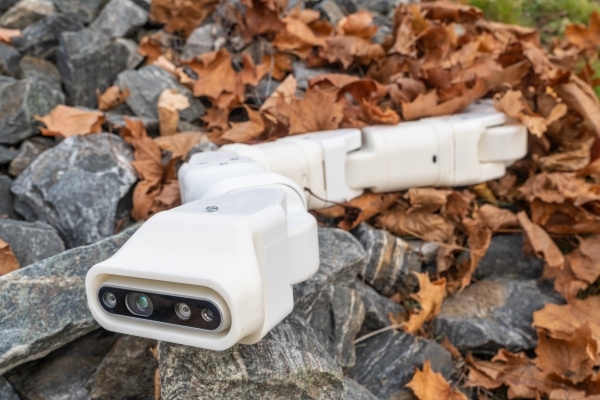 The main idea of this project consists of developing a modular five-limbed robot. The goal is to develop a versatile robotic mobile platform featuring an easy-to-build mechanical structure, various locomotion capabilities and high manipulation flexibility. The initial mockup of the project is described in the image below. Make your passion your profession! filipposanfilippo.inspitivity.com is ads free. Please consider supporting my efforts to keep providing FREE quality content!